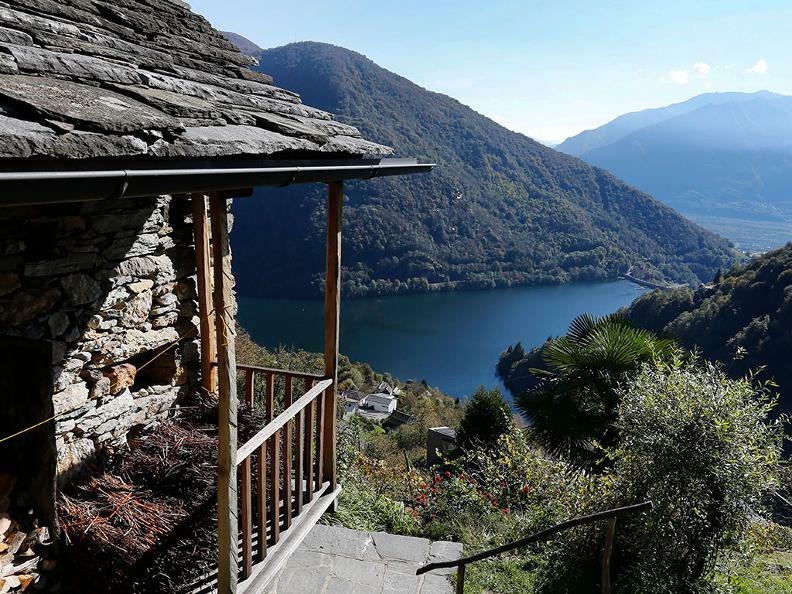 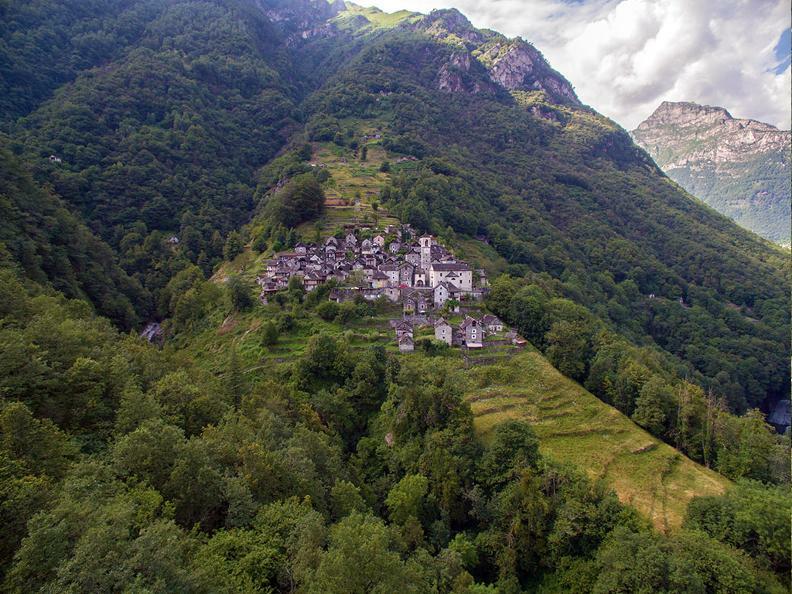 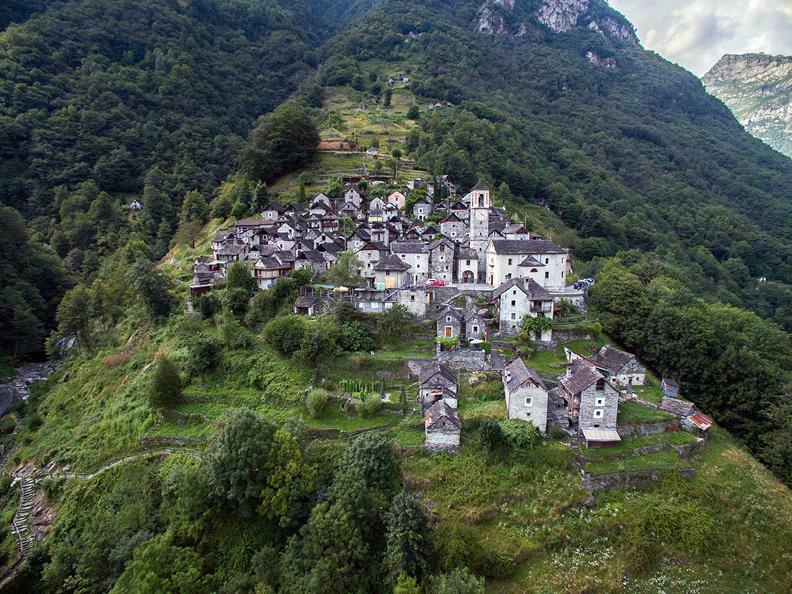 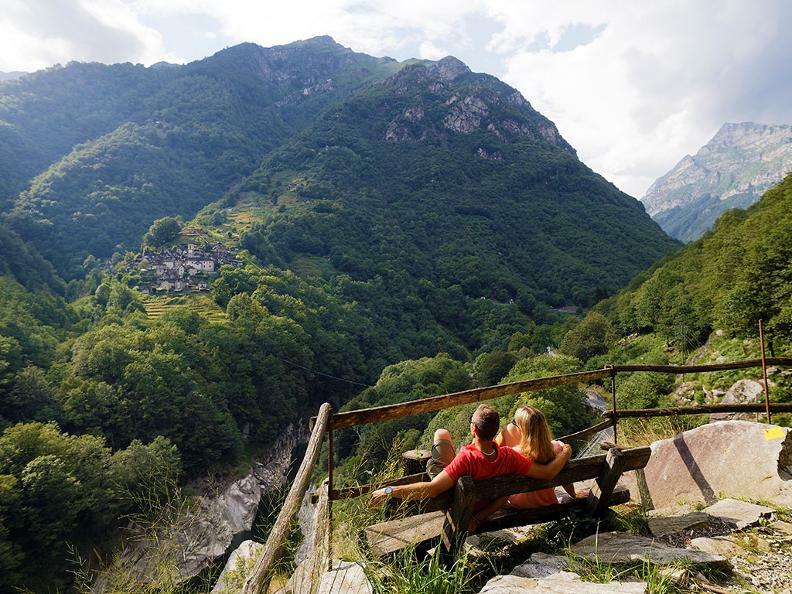 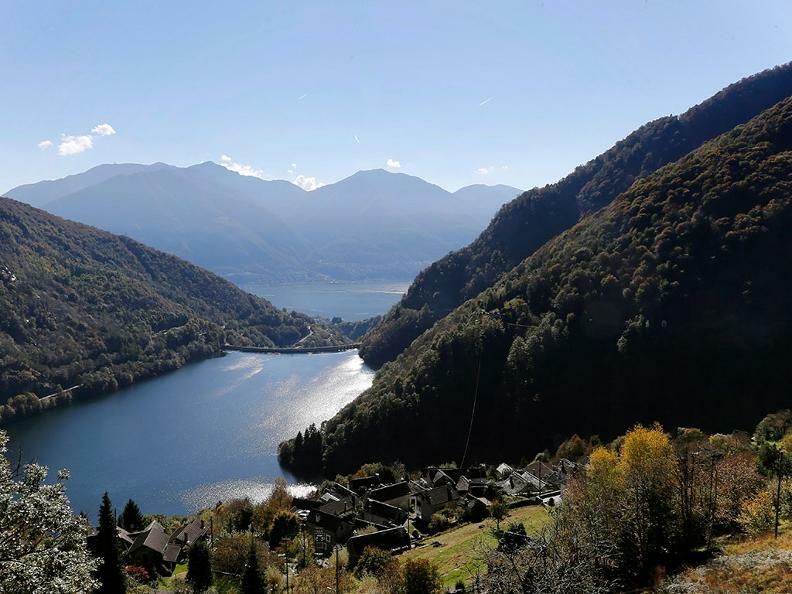 From Mergoscia, the geographic center of Ticino, to Corippo, along a panoramic path overlooking the Vogorno Lake. 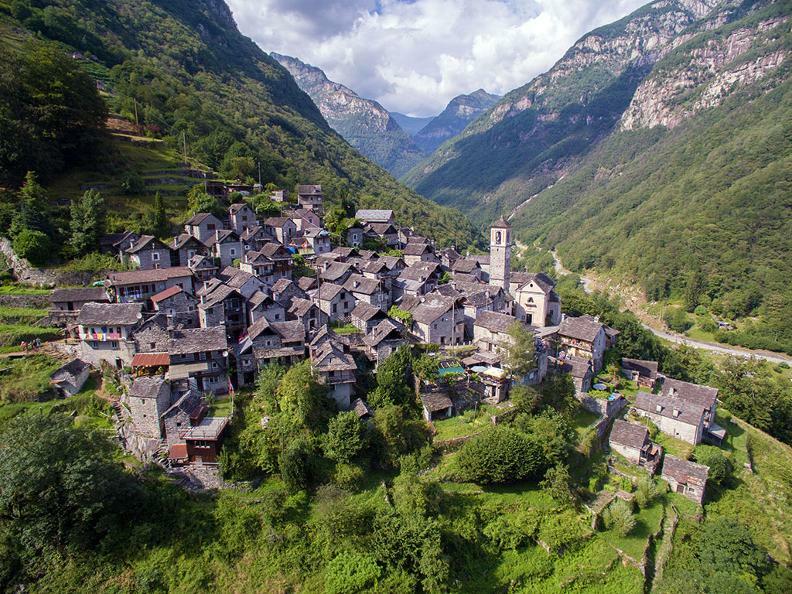 These villages maintained a characteristic rural aspect thanks to the stonework, the doors and white framed, and the roofs made of stone slabs. 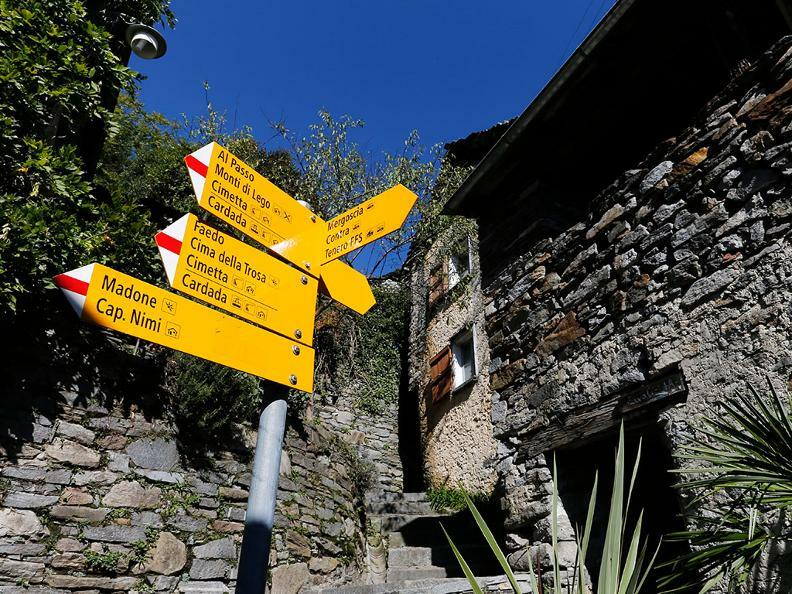 All were surrounded by vineyards and dry stone walls.